Product code: 841 Categories: Sold Items, Sold Rings. This ring is just beautiful! Made in the Victorian era in Chester in 1892, it is made in such a wonderful and unique design, that will get attention every time that this ring is worn. 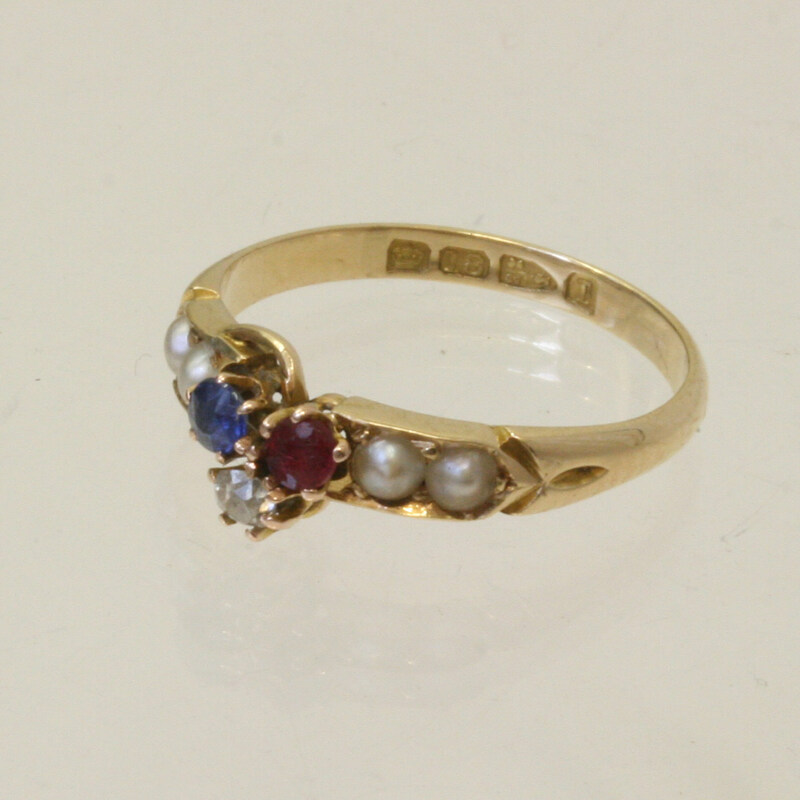 Set with pearls on either side of a diamond, ruby and a sapphire, the three stones are set in somewhat of a three leaf design. The ring is made in 18ct yellow gold and is still in exceptional condition. 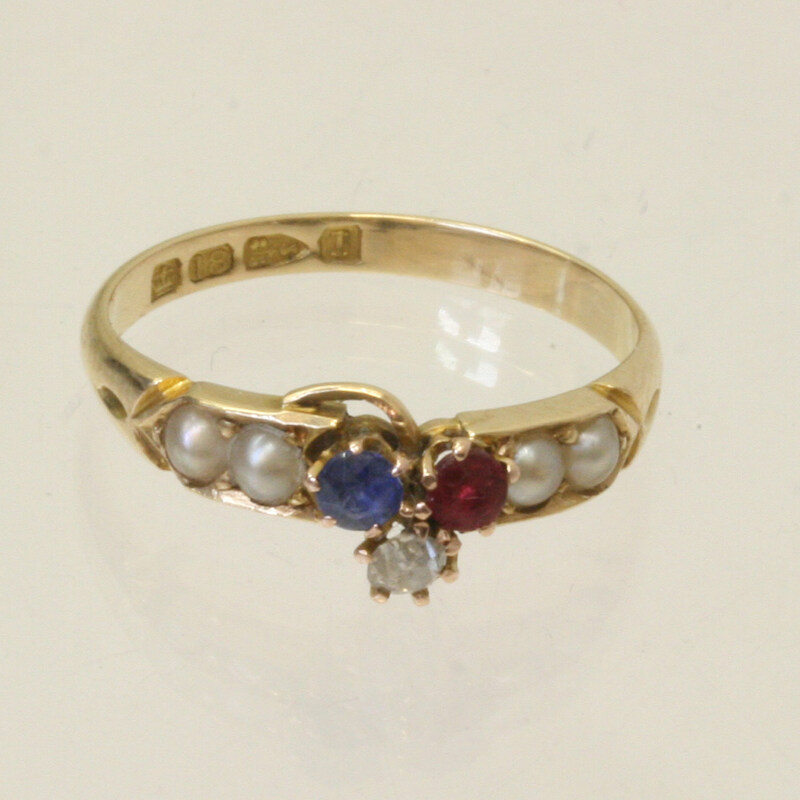 If you are after a wonderful unique antique ring with colour and style, then try this one and fall in love with it.